The Bravermans return from their summer break with a fresh set of growing pains. While most television dramas detail the hardships of high-pressure professions like doctors, cops and high-profile attorneys, Parenthood delves into the risky territory of normal families just trying desperately not to screw up their kids. It's ground that the show covers extremely well, despite its struggles to find a wider audience. 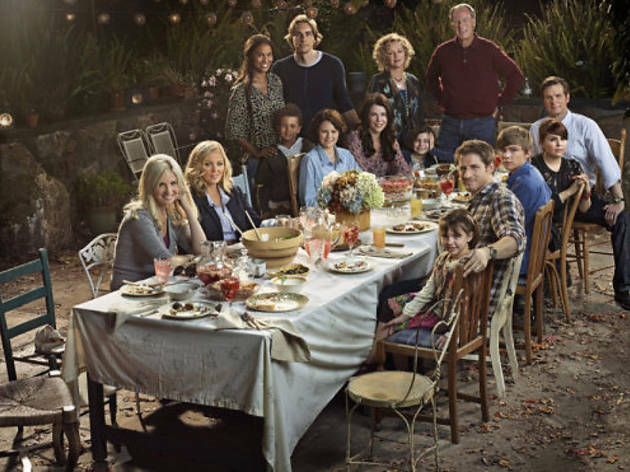 In season three, creator Jason Katims (Friday Night Lights) isn't making things any easier for the Braverman clan, with a whole mess of problems on everyone's plates. Adam (Peter Krause), having lost his job last season, is still out of work and struggling with his job hunt. Meanwhile, Kristina (Monica Potter) is now extremely pregnant and working a job that pays a small fraction of the income their household is used to. Haddie (Sarah Ramos) is beginning her senior year of high school and finds that balancing her school life with her older boyfriend, Alex (Michael B. Jordan), to be a bit complicated. Sarah's (Lauren Graham) 40th birthday is approaching and while she seems to be okay with it. What she's not okay with are Amber's (Mae Whitman) plans to move out. She also finds herself reunited with former flame Mark Cyr (Jason Ritter) in a particularly high stress moment. Crosby (Dax Shepard) is now sharing custody of Jabar (Tyree Brown) with Jasmine (Joy Bryant) and the two are maintaining a friendly relationship with each other after the dmeise of their engagement. Crosby's also returned to a bit of his former womanizing ways, including annoying Adam and Sarah by bedding the waitress (Wilfred's Fiona Gubelmanm) at their beloved pancake house. Additionally, Crosby is trying to woo Adam into going into business with him by buying a vacant recording studio. After months without interviews, Julia (Erika Christensen) is beginning to lose hope that she and Joel (Sam Jaeger) will ever get an opportunity to adopt a child. When she discovers that the latte girl at her office is pregnant and planning on giving up the baby, desperate thoughts begin to enter her head. As is often the case, Adam and Sarah's troubles are at the forefront in this episode. Adam finds himself having to choose between a job that he surely hate or taking a chance on an incredibly daring business venture with his brother. One thing's for sure, if the man stays unemployed for much longer, he's going to lose his mind. Sarah, meanwhile, is the first Baverman to face empty nest syndrome, something that pains her far more than going over the hill. Krause and Graham are both fantastic, as always, at conveying nuance in their characters' troubles. Crosby and Julia's plots seem more like introductions to stories we'll see in future episodes. Other than Amber's new apartment, Haddie is the only kid we see much else from and the "I want to go to drunken high school parties but my very sweet and nice boyfriend is an alcoholic" problem seems so petty compared to what everyone else is going through. Parenthood returns from the summer break to find the Baverman clan in the thick of it, as always and the show is still a quality piece of drama worth your time. 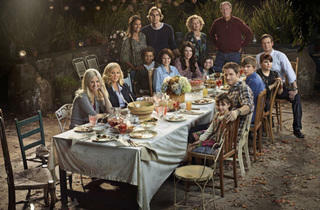 Season three of Parenthood premieres Tuesday 9pm on NBC.